Chattahoochee Valley Episcopal Ministry invites you to join us as we journey to Montgomery, Alabama to the Equal Justice Initiative’s Legacy Museum and National Memorial for Peace and Justice as we bear witness to the legacy of racial terror in America. We will depart from St. Thomas Church at 9 am EDT. Pilgrims have the option to ride together in vans that CVEM will provide or provide their own transportation. We will arrive at EJI’s Legacy Museum at approximately 10 am CDT. We will spend the day visiting the museum and the memorial, with time for lunch in between. We will depart from the National Memorial for Peace and Justice at approximately 3:30 CDT and arrive back home in Columbus by 6 pm EDT. 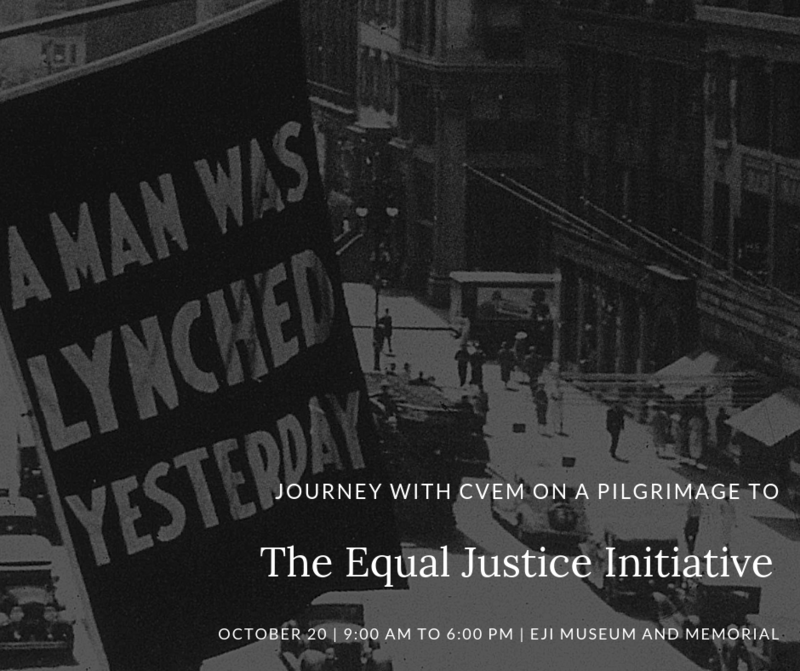 For more information about the Equal Justice Initiative, the Legacy Museum, and the National Memorial for Peace and Justice, check out: https://museumandmemorial.eji.org/about. The cost to attend is $15, not including the cost of lunch.